DB2 LUW Performance and Tuning specialists. 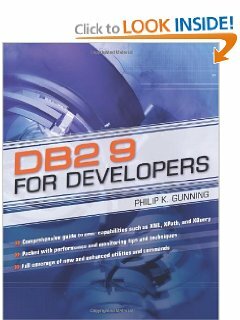 Gunning Technology Solutions, LLC is the world leader in Db2 Consulting and in providing REMOTE Db2 DBA services and consulting. All we need is access to the requisite servers and we can do everything remotely. Experience on DB2 2, DB2 5.1, 5.2, 6.1, 6.2, 7.1, 7.2, 8.1, 8.2, 9.1, 9.5, 9.7, 10.1, and 10.5, and 11.1. We also support DB2 11.1 with BLU Acceleration. We have done DB2 installs, upgrades, restores, recoveries, setup HADR and TSAMP clustering; all remotely. We can conduct DB2 Health Checks or Security Audits onsite or remotely. This enables use to lower our rates and save our clients IT dollars. We specialize in performance and tuning engagements and have custom scripts to quickly assess the health of your database and SQL. We tune and rewrite suboptimal SQL. We can also augment your existing staff and we also offer an outsourcing option where the data remains with you but we manage it for you. We have a team of expert DB2 DBAs personally trained by Phil in strategic locations in the US. We have DBAs in Austin, Kansas City, Sinking Spring, our headquarters and also in Allentown, PA. We can provide 24×7 support with guaranteed 1 hr response. We provide this on all of our agreements at no extra cost. We can provide customized DB2 training and we always conduct knowledge transfer to the DBAs and staff that we work with. We do come onsite if we determine it is necessary to get the job done or to meet the client and address their immediate needs, if necessary. Note that there is no “software” in our name. We are consultants. We don’t try and sell you any software. Some software companies offer services under the guise of selling you software. We don’t. We will assist you with reviewing IBM DB2 tools or other third party vendor tools if requested and we’ll recommend the product that best fits your needs. We only use the built-in monitoring facilities that come with DB2 and in my opinion, they are more than enough. DB2 LUW has a rich set of built-in monitoring and tuning tools, we’ll show you how to use them. Check out our blog at http://www.philipkgunning.com/blog. 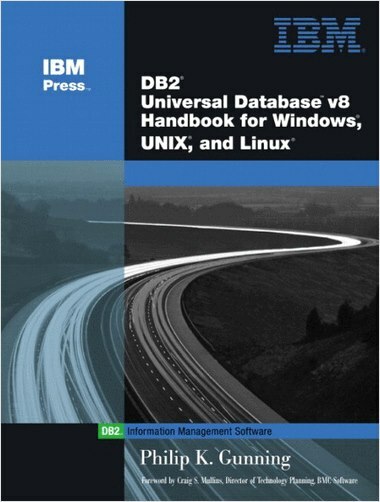 Phil has been writing about DB2 LUW for 20 years. Phil Gunning, our founder, has over 20 yrs experience with DB2 for LUW on all types of Windows, UNIX and Linux servers. Phil has specialized in DB2 for Linux, UNIX and Windows since 1996. Phil only specializes in DB2 for LUW. There are many generalists out there who claim to do DB2 for LUW, DB2 for z/OS, ORACLE, SQL Server, Sybase, and MySQL. We have experience on all of those but we specialize in DB2. When you want a brain surgeon for DB2 LUW instead of a generalist, call us….We offer remote database support, outsourcing, interim DBA resources, HADR implementation, Tivoli Systems Automation for Multiplatforms installation and configuration, High Availability solutions, SQL tuning, DB2 migration, Performance and Tuning, capacity planning, DISK storage subsystem sizing, DB2 BLU Acceleration and DB2 pureScale support. We provide onsite or remote support depending on the client’s requirements. Contact us at topgun(@)gts1consulting.com today, you will be glad you did. We help people succeed with DB2 (SM).